Virginia Tech is known for many great things, including a competitive football team, being a top-100 public university, strong business and engineering programs and a wonderful campus atmosphere. Shadowing the achievements and positive qualities of the institution has been the tragedy of 2007 when a student unleashed a rampage on the school before taking his own life. The events in Blacksburg brought the nation together to pray for the friends, family and university community affected by the horrible event. 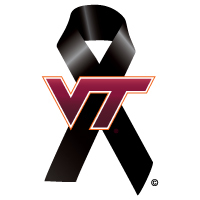 On December 8, 2011, Virginia Tech was taken hostage again by violence and despair. Though not the same magnitude as the 2007 incident, the actions of a man have shocked the nation again. On a routine traffic stop, an officer was ambushed and gunned down. The gunman fled the scene on foot. Witnesses reported the event, sending the campus into a lockdown. After additional emergency personnel arrived on scene, a second body was found and later identified as the gunman. Rather than breaking into a whole discussion unpacking the event, I will simply say that my heart goes out to the campus community and the family of the officer. Stay strong and stay safe.